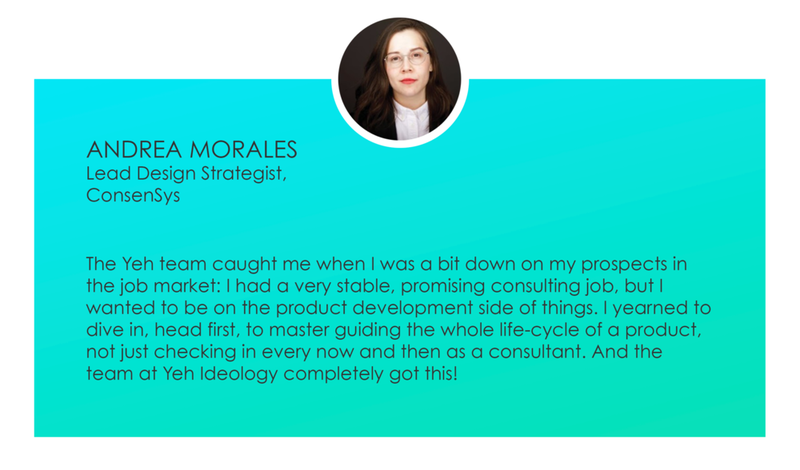 Whatever your situation may be, Yeh IDeology’s Thrive By Design methodology will help you assess your talent profile, analyze and identify possible avenues for growth and build a successful game plan that strategically addresses your challenges and aspirations. Through this process, you will build on your career goals and develop customized techniques that bring you closer to reaching future milestones. from some of our Thrive By Design Graduates (Thrivers) who have gone through our Thrive By Design Masterclass. professional destiny vs. leaving it up to chance.